Emil has used the projection system mostly for YouTube, Twitch and gaming so far. He said: “The picture quality is absolutely amazing! Unfortunately there are not yet many 4K streaming services right now but I am sure this will grow." “I'm very satisfied with my setup but it has made me want to upgrade my gaming PC for 4K gaming on my big screen. And I’m going to need a new sofa as I am now using this room a lot!" Emil Bostedt from Sweden literally started with a blank slate for his installation - an empty room where he wanted to create something unique to watch YouTube and live streams from his PC. 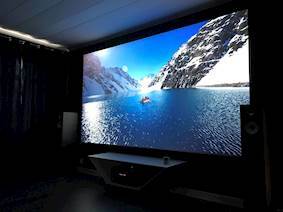 To get the best image quality for his immersive big screen action he knew he wanted a 4K projector, for which he had a budget of 25,000 SEK (£2,500 or $3,000). 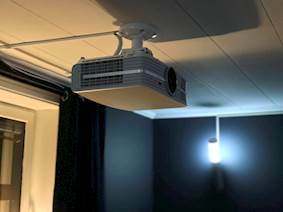 Emil chose the UHD60 4K UHD projector at Hembiobutiken.se, which has home theatre demo rooms in their stores in both Stockholm and Gothenburg. At 3000 lumens, the UHD60 produces bright images for life-like big-screen entertainment even with the lights on. 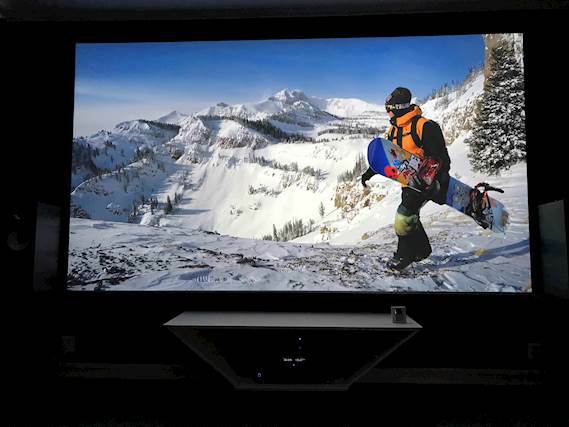 With the full 8.3 million on-screen pixels, it meets the Consumer Technology Association (CTA) requirements for 4K UHD and complies with the CTA High Dynamic Range (HDR) compatible display standards. This guarantees razor sharp, vivid images capable of showing more details than standard HD and replicating the digital cinema experience. Set-up is simple with vertical lens shift and a host of connection options such as two HDMI ports and Mobile High-Definition Link (MHL) for compatible phones and tablets. 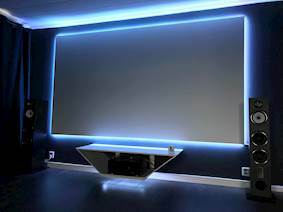 In addition, the UHD60 can even be turned into a smart projector by connecting an HDMI dongle like the Google Chromecast™ or Amazon Fire TV to access popular media services and stream TV shows, films and video clips, play games and share photos on the big screen. 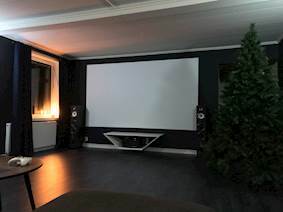 A qualified electrician, Emil installed all equipment himself including Elite screens Aeon series 135" screen, Pioneer SC-LX501 AV Receiver paired with two Triangle Esprit Antal EZ speakers. 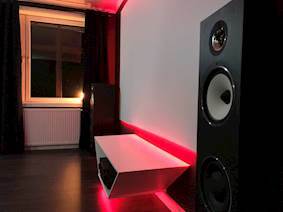 He also connected a NAD DAC 2 to provide digital streaming of audio between his PC and the AV receiver. 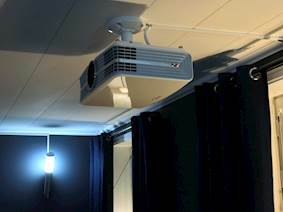 Emil has used the projection system mostly for YouTube, Twitch and gaming so far. He said: “The picture quality is absolutely amazing! Unfortunately there are not yet many 4K streaming services right now but I am sure this will grow. “I'm very satisfied with my setup but it has made me want to upgrade my gaming PC for 4K gaming on my big screen. And I’m going to need a new sofa as I am now using this room a lot! Optoma UHD60 4K UHD projector, Elite screens Aeon series 135", Pioneer SC-LX501 AV Receiver, Triangle Esprit Antal EZ speakers, NAD DAC 2.